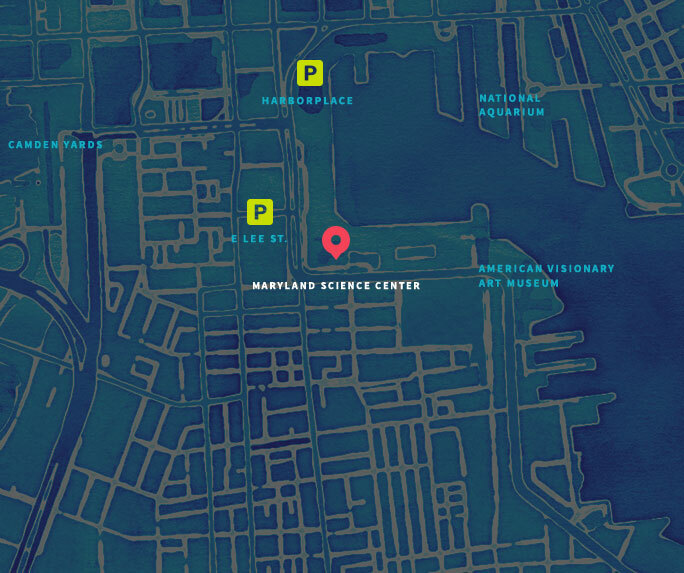 Corporations play a key role in shaping the future of the Maryland Science Center. Our Corporate Membership Program provides a high profile vehicle for delivering your message. As a corporate member of the Maryland Science Center, your company is tying its name to one of Baltimore’s premier cultural attractions and one of the country’s foremost science museums. Why Become a Corporate Member at the Maryland Science Center? What better way to reward your employees than a fun-filled day of exploration and learning at the Science Center’s Inner Harbor location in the heart of downtown Baltimore? A Corporate Membership grants employees and their guests free admission into all our permanent exhibits including our Planetarium. All member levels receive member discounts on Elements Café and The Science Store. A fun and educational experience is guaranteed for the whole family when you visit MSC! The annual support of our Corporate Members allows the Maryland Science Center to sustain and improve educational exhibits and programs for our guests, intended to build a science and technology literate workforce. We invite all companies to join in this synergistic partnership and contribute to shaping the minds and talents of tomorrow’s leaders. For more information about Maryland Science Center’s Corporate Membership program, contact Alexis Leo by phone 410-545-5943 or email aleo@marylandsciencecenter.org. *Membership levels may be customized at higher levels. 4 Corporate Member cards- transferable and good for one full year of date issued to all permanent exhibits (excludes the IMAX Theater and Premium Traveling Exhibits). 6 Corporate Member cards- transferable and good for one full year of date issued to all permanent exhibits (excludes the IMAX Theater and Premium Traveling exhibits). 8 Corporate Member cards- transferable and good for one full year of date issued to all permanent exhibits (excludes the IMAX Theater and Premium Traveling Exhibits). 100 one-time vouchers to permanent exhibits. 10 Corporate Member cards- transferable and good for one full year of date issued to all permanent exhibits (excludes the IMAX Theater and Premium Traveling Exhibits). 12 Corporate Member cards- transferable and good for one full year of date issued to all permanent exhibits (excludes the IMAX Theater and Premium Traveling Exhibits). 14 Corporate Member cards- transferable and good for one full year of date issued to all permanent exhibits (excludes the IMAX Theater and Premium Traveling Exhibits). 16 Corporate Member cards- transferable and good for one full year of date issued to all permanent exhibits (excludes the IMAX Theater and Premium Traveling Exhibits). 18 Corporate Member cards-transferable and good for one full year of date issued to all permanent exhibits (excludes the IMAX Theater and Premium Traveling exhibits).